Many people want to be more successful in their business or career. I sure do. One way to go about it is to wait and hope for success. To wish for luck. Pfft. I prefer to be proactive, organized, and strategic. And I aim to motivate and encourage you to take action to improve your skills, get better organized, and create a more fulfilling work life for yourself. All my products are interactive, downloadable PDFs. They’re environmentally friendly (no freight, and you only print what you want) and instantly available. This booklet contains 38 of my blog articles on topics such as technology, home-office productivity, email management, and social media. Instead of the usual ugly and overcomplicated marketing and business-planning worksheets, I’ve designed these to be simple, motivating, and appealing. They help you analyze your business and yourself, as well as plan, organize, and strategize. 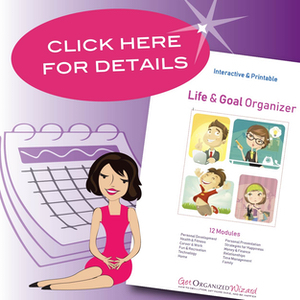 More than 140 worksheets cover marketing planning, productivity, time management, goal setting, decision making, staff and office management, and professional development. Lots of inspiration for starting and growing your own small business. The worksheets are all interactive – so you can type, save, edit, search, and print. This is an annual subscription for people who want the best value.